Starting point was Munich, Germany and from there with the Jeep to Vienna, Austria and onwards to Trencin/Pohoda festival for a long weekend. We moved on to High Tatras mountains to climb the beautiful area and north-western peak of Rysy mountain (2499m). After that I pushed alone to Košice, the easternmost big Slovakian city and from there over the border to Uzhhorod, Ukraine. From there to Ivano-Frankivsk and further to Chernivtsi to visit the famous university. This was also the last big city in Ukraine, from there I went south to Vornet, Romania to visit the monastery which is quite a touristy place nowadays. The big city I stayed a bit was Cluj-Napoca in the west which is quite a busy place also with a few fine vegan restaurants (go to Samsara). 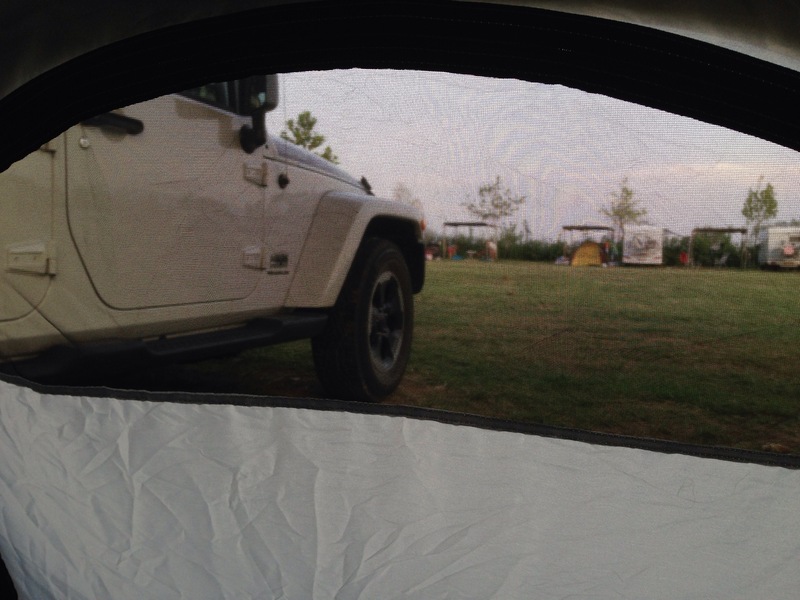 Next spot was camping in Budapest, Hungary at Arena Camping before the final trip back to Munich. Equipment-wise this was the first time I used my roof tent. Despite two zipper incidents it was quite good (sleeping comfort, build-up time). Also first for me: crawling around on the roof of the Jeep. Zuerst ging es am Morgen nach Vaduz, um ein wenig die kleine Hauptstadt Liechtensteins zu erkunden. Hopp zur Burg und St. Florin-Kirche, leider zu spät für das Kunstmuseum. Am Abend ging es dann nach Eschen, wo ich mich im B&B Schönblick einquartiert hatte. 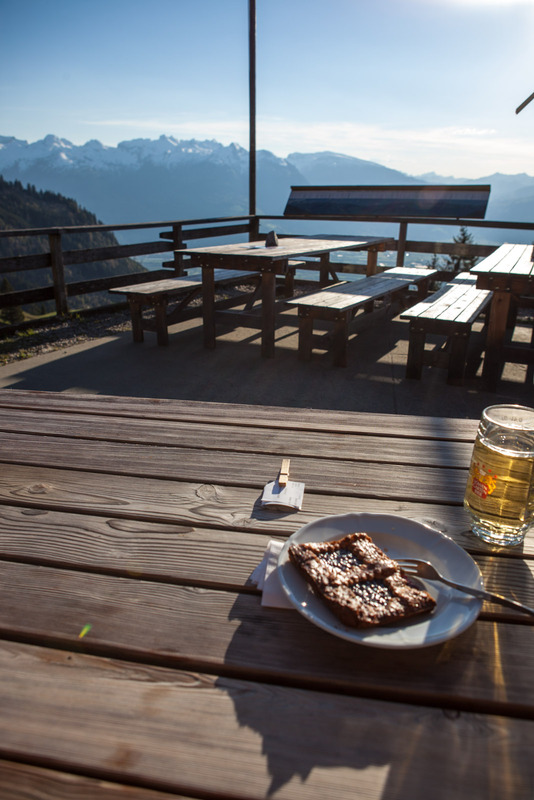 Um den Tag vollends auszunutzen gings sportlich in einer Stunde durch den Wald hoch zur Gafadura Hütte. Den Ausblick auf das Tal und die umgebenden schneebedeckten Berge konnte ich erst garnicht genießen. Nach Apfelschorle und einem Stück Linzer Torte ging es aber wieder. Danach lockerer Abstieg zurück zum Jeep und dann nach Eschen. Superglücklich die Tagesziele bei wunderschönem Wetter erreicht: das 50. Land erkundet sowie den Berg hoch gekraxelt, dank Föhnwind noch unter der Schneegrenze. Went to Technikum on Friday, April 15th, a small event venue at Kultfabrik area besides Ostbahnhof in Munich to see and listen to Jamie Woon. Let’s talk about environment. The lighting was excellent for such a small place and provided a great visual background. For me it’s also important that it’s not crazy hot when the room is stuffed with people – was ok there due to high ceilings and ventilation. Warmup was provided by Jodie Abacus. The charming singer provided nice music, however the song texts were a bit weird – spoon? Coca-cola? I think I would have liked it much better if I didn’t understand the text. So please, better lyrics would be appreciated. Main act Jamie Woon provided a great show, especially to mention the two sidekick singers contributed to an excellent atmosphere. One song before the last he did an intense solo with guitar. I think the last song was Shoulda, fitted perfectly. 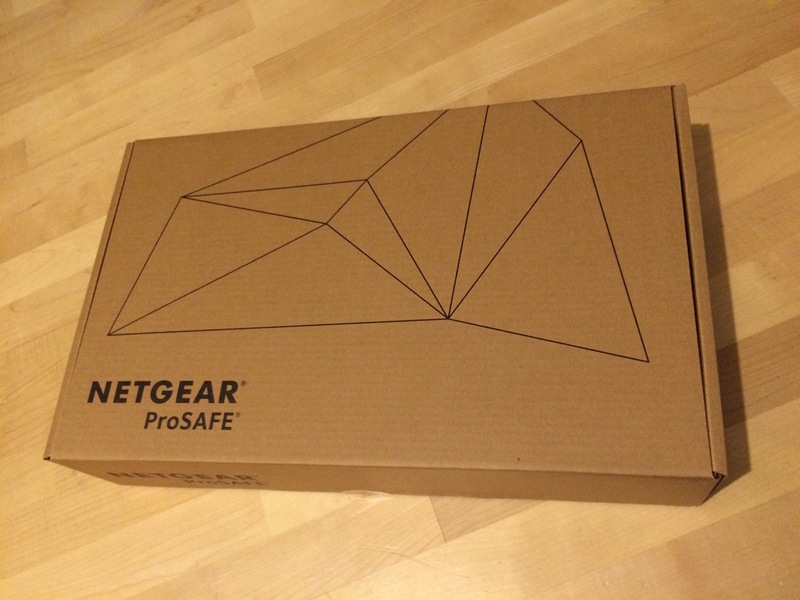 To bump up the connection and also avoid sloppy Wifi rates around my flat I went a bit further than just buying a cheap switch and got a 16 port managed switch, the Netgear GS716T-300EUS Smart Managed Switch . 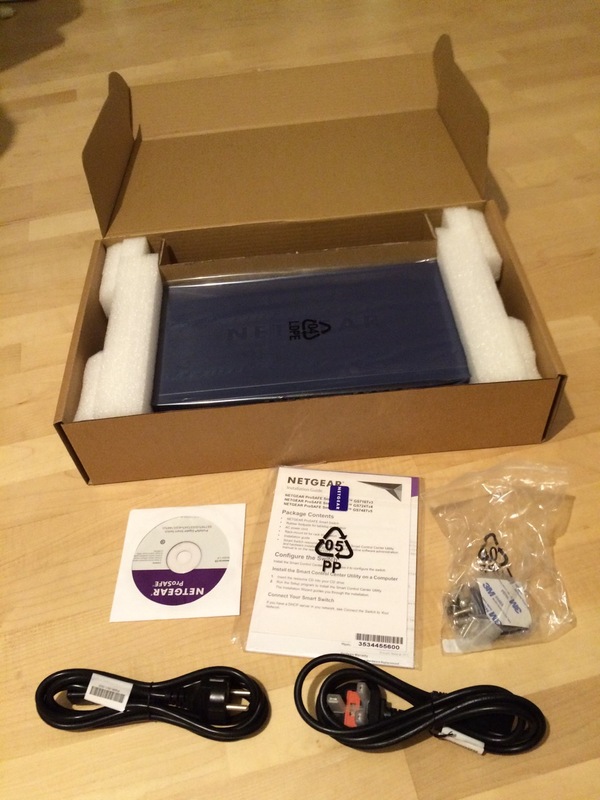 Downside of the cheap Netgear device is that the management software is only available for Microsoft Windows, not for Linux or MacOSX. However, web configuration is possible and everything important should be available via the web interface. Next I Installed Nagios which was not that easy as the primary hints on how to do it via homebrew were wrong/bad. I found an older instruction which helped me to get there. The switch was now able to tell me via SNMP that the intended ports were up and how long it was turned on so far. February 5th to Valentines Day (14th of February) I went across BeNeLux to meet up with a friend flying in from Singapore. I found out that Denham the Jeanmaker did quite some expansions since I saw it in a tiny shop near the spot I stayed in Amsterdam for work some years ago. We met in Amsterdam, checked out Paradiso club, took a boat trip through the Grachten, visited the Rijksmuseum. By train we went to Bruges and stayed at a very nice little place I was a couple of years ago named a room with a view right in the medival part. Despite the rainy spring weather we checked out the top of the Belfried while the bells rang (when you’re nearby its crazily loud). Quite interesting was the beer museum, also did quite some beer tasting/drinking in Bruges. This topic went on when we moved by train to Brussels where we took a beer experience tour with the Sandeman guys of the free walking tours. Also checked out the European Parliament, the Atomium which I quite enjoyed as inside is an interesting architecture exhibition. As you can guess already – by train we went to the last stop Luxembourg which showed no mercy and provided us with constant rainy weather. From there I went straight back to Munich – but by plane. On 16th and 17th January 2016 the Maker Faire took place in Zenithhalle/Munich. Workshops, stalls, events, presentations and a robot soccer area offered a view into the maker scene. It was not only about electronics but also covering clothing, food and even woodworks. I enjoyed quite a bit of it on both days and at the end brought back a self soldered (and working) Hacklace which is offered as parts kit by fab4u.de. Mr. Andre was so nice to show me how the soldering is done right. Besides that I attended several quite interesting talks like The Future of the Maker by Bruce Sterling including him pointing out listen to the women and some good questions by the audience. Another very interesting perspective by Prof. Dr.-Ing. Silke Langenberg: REPARATUR – Anstiftung zum Denken und Machen. She opens the view to the architects perspective on how repairment would aid in a more efficient world and that a single house requires quantities more energy than most DIY items the maker scene is focusing on. 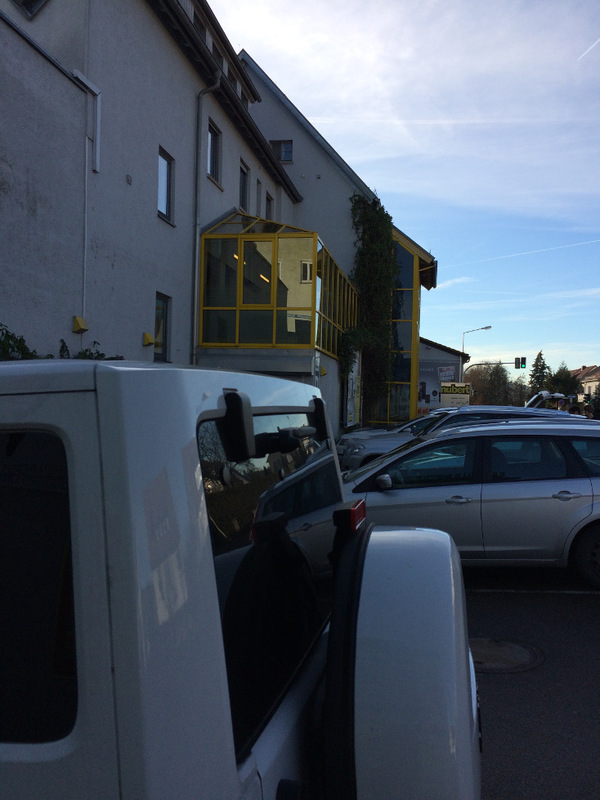 On the way back from my native place in Rheingau I went via Schwäbisch Gmünd to visit Nubert, a company focused on audio speakers. While my initial research was focused on the nuLine 24 or nuBox 483, the excellent and attentive staff helped me to find a pair of speakers to use with the old Braun Regie 520 I brought over to Munich. After quite some thorough hearing tests with different kinds of music in two of their sound test studios (first the small ones, later the large ones). 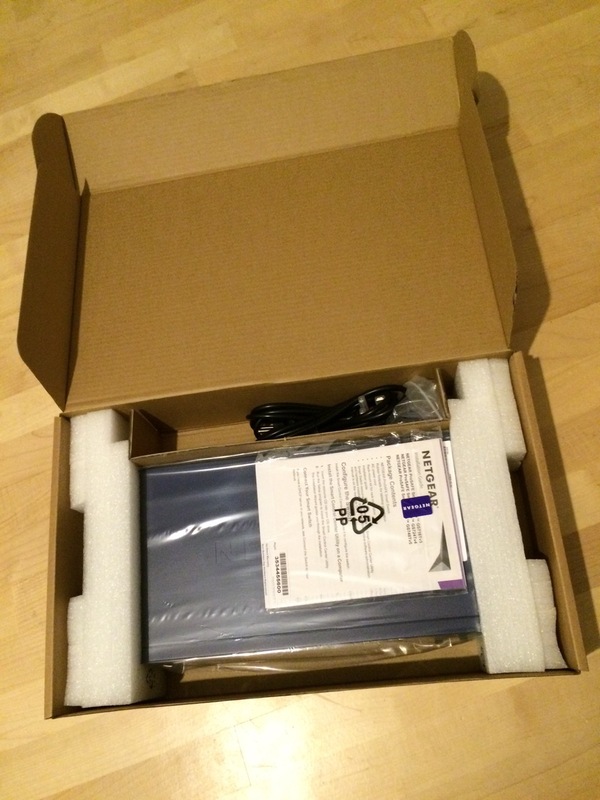 I finally decided to go for a pair of the nuLine 34 which provide me with great sound and are still able to be powered by the old receiver without issues and the difference to the nuLine 24 was quite impressive. At the end they even gave me free adapters for the audio cable to connect to the old Din sockets in my receiver. Back in Montenegro, Safari Camping near Ulcinj. So different to Albania. Everybody accepts cerdit cards, everything is in € and most options in restaurant are with meat. The camping spot is loud due to tons of families, also the sandy beach right in front is crowded with folks. I wonder what people didn’t bring for camping here – looks like everything from home was transferred to only have a different view. Also the facilities are worn down, broken and dirty. Was so clean at Lake Shkodra Resort. Thinking about the last days in Tirana. I had a delicious dinner at A La Sarte, a small hidden restaurant in Bloku district. Bloku was for communist party members only and basically a forbidden city where also the dictator Hoxha himself lived. Again – in that country are still many and good veg options, let’s see for how long when one looks to the neighbourung countries. The Free Walking Tour I attended yesterday was one of the best so far. Before it started I sat on a bank with a nice elderly looking local man who only spoke local language. We managed to understand each other quite well and he told me that he learned no foreign language due to communism regime. I felt quite touched by this talk – if everybody would just try a bit more, couldn’t we all live in peace together and understand others even if we don’t speak the same language? After that, the big walking tour group gathered and we dived into the Albanian history. Very interesting were also the personal experiences of our guide of the times of dictatorship. For instance he apologized for people driving not that good because 20 years ago there were no private cars at all. The day before the tour I visited the Museum of National History which spans the story of stone age, Illyrians, independence movements to uprising over communism. The classical kind of display was interesting for me, despite the hot rooms without proper AC. 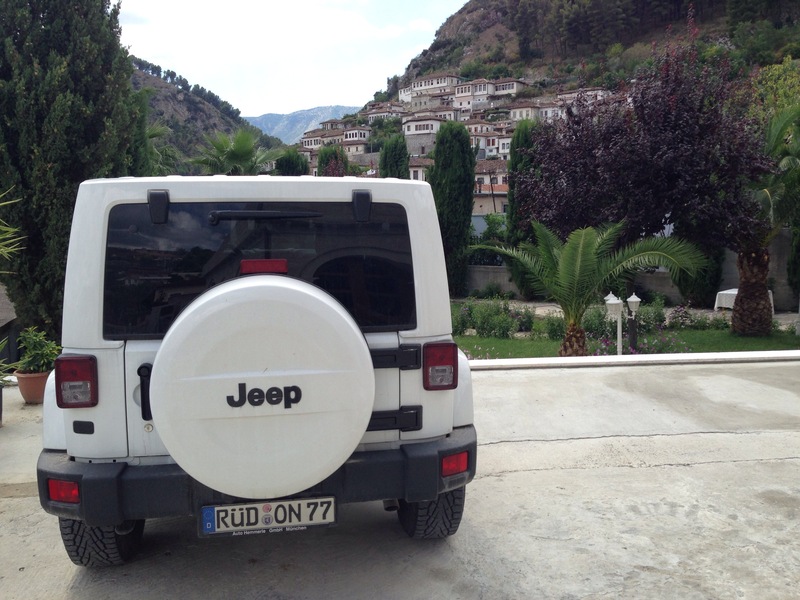 Berat, city of 1000 windows. 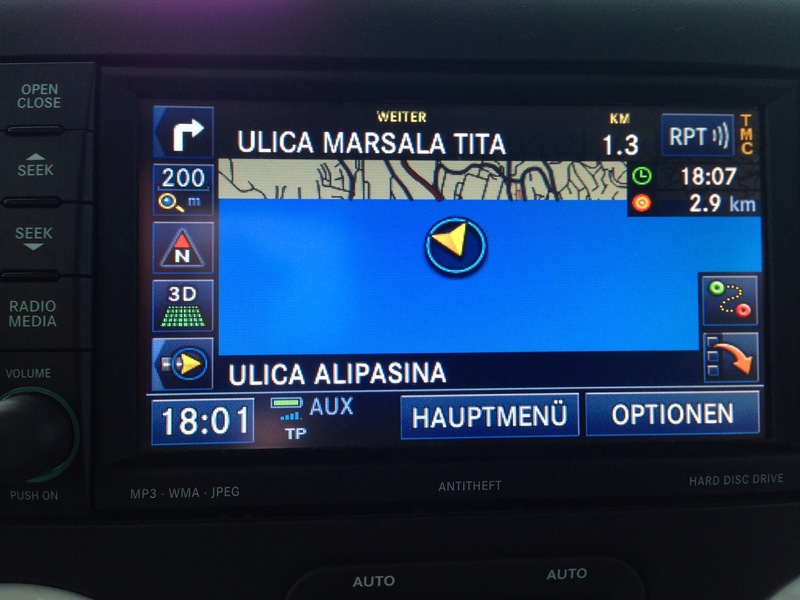 After Sarajevo and Mostar I went via Montenegro to lake Shkodra for some days of camping. Lake Shkodra Resort has a nice staff and facilities are very clean. 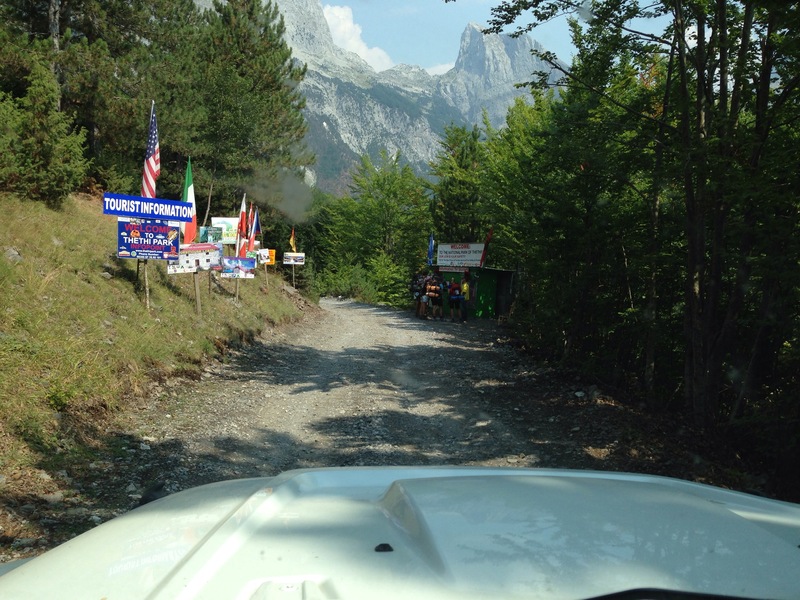 During my stay I went for a trip to the remote and famous Theth valley in Albanian alps. 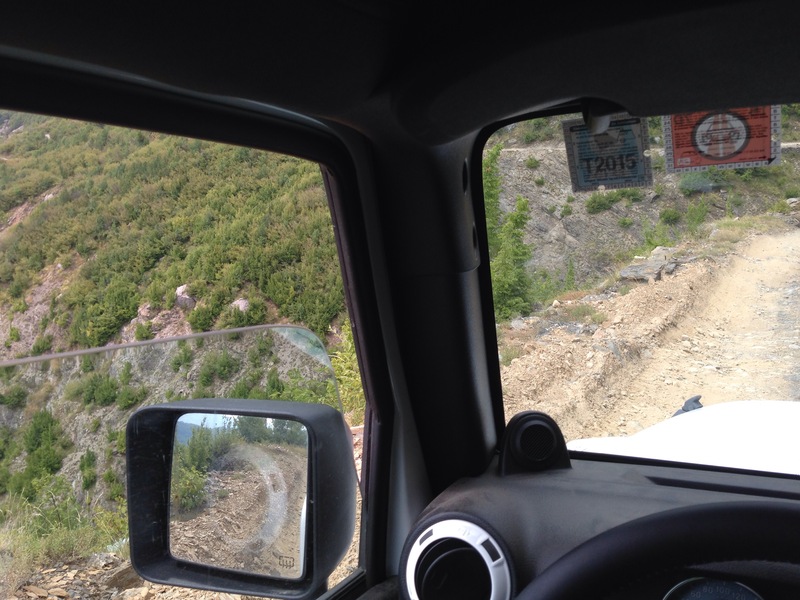 Took northern route to valley, which was first asphalt with some holes, then a new and perfect small road up to mountain pass. There the old rugged trail started. However, by driving slowly it was bo issue for the Jeep. Some locals even drove there in normal cars (Mercedes). After artiving in Thethi I felt like asking 20 people, passing some sheep herds and a moaning funeral procession near the church to finally arrive at my guesthouse. Met a very nice Albanian family from USA/Montenegro, did a hike and eating together while learning lots of interesting bits about local history. The next day I went back to Camping area via the southern route which was longer and more demanding but by far less crowded – it’s usually only used in winter times when northern route is closed due to snow. After 4 hours of bumpiness I was happy to reach paved road again and went back via Shkodër to the camping spot only to face the worst weather so far in the evening. Thunderstorm and very heavy rains throughout the night. In the morning my tent was dirty but dry inside – others hadn’t have that luck and were soaked by the rain, motorbikes fell over during the night as soil went into muddy soup. Lucky me just cleaned up the tent, said goodby to my tent neighbours who watched over my spot while I was in Thethi and the nice staff. 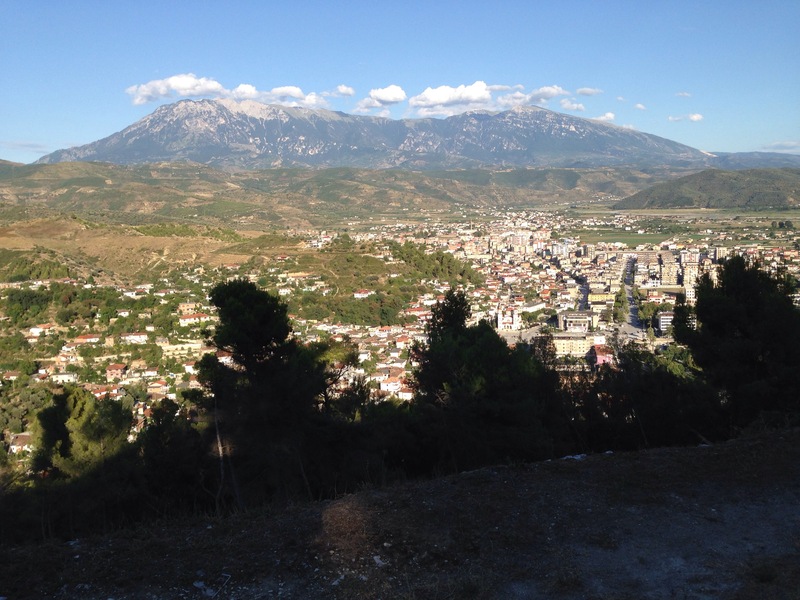 Then went on to Berat – the city of 1000 windows. Had a great parking spot right in front of the old town with the famous buildings. After checking out the fortress area and the beautiful views yesterday evening I’m now heading for Tirana, capital of Albania. I switched to HERE app on my mobile which thankfully supports offline navigation and brought me to my destination.